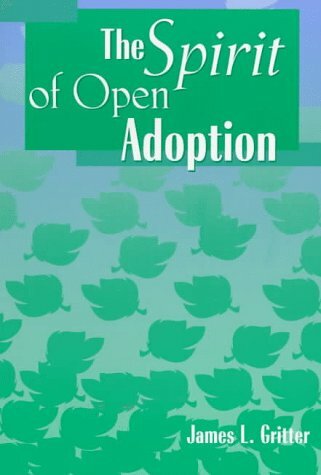 Categories: Domestic Adoption, Open Adoption. An outspoken and ardent advocate for openness in adoption, James Gritter writes of the need for members of the adoption triad to emphasize services that first and foremost benefit adoptees. Open adoption serves children first by reversing the traditional hierarchy — by treating adoptive families as resources for birthfamilies. Adoptive parents, birthparents, and adoptees come together in a spirit of extended family that helps them replace the fear, pain, shame, and loss of adoption with honor, respect, and reverence. Drawing on the profound insights of contemporary thinkers in the fields of adoption, theology, philosophy, and literature, Gritter guides the reader along a spiritual journey that explores the candor, commitment, community, and cooperation that define successful open adoptions.